The annual meeting of the Massachusetts Newspaper Publishers Association is this Friday, Dec. 5. There is still time to register and you can do so using the 2008 registration form. Robert A. Bertsche, Esq., a nationally known media lawyer and partner with the Boston firm Prince, Lobel, Glovsky & Tye. David Ardia, Esq., fellow at the Berkman Center for Internet and Society and the director of the Citizen Media Law Project, which provides legal education and resources for individuals and organizations involved in citizen media. Ed Kubosiak, editor-in-chief of MassLive.com. The day begins with the MNPA’s annual business meeting at 10 a.m., followed by the panel discussion at 11, a reception at noon and the luncheon at 12:30. The event is being held at Anthony’s Pier 4 in Boston. The Massachusetts Newspaper Publishers Association is honored to announce that retiring Supreme Judicial Court Justice John M. Greaney will address its annual luncheon Dec. 5. Justice Greaney, who retires from the bench Nov. 30, has played a special role in helping to improve the relationship between the courts and the news media, having been co-chair of the SJC’s Judiciary-Media Committee since its establishment in 1995. Upon his retirement, Justice Greaney will join the Suffolk University Law School faculty and serve as director of the Macaronis Institute for Trial and Appellate Advocacy housed at Suffolk. As a justice on the highest appellate court in Massachusetts, Justice Greaney authored numerous significant opinions on a range of important issues, including several of importance to the news media. He served in the military and engaged in private practice before joining the judiciary in 1974 as the presiding judge of the Hampden County Housing Court. He later served as a justice the Massachusetts Superior Court and the Massachusetts Appeals Court. He was chief justice of the Massachusetts Appeals Court before his appointment to the Supreme Judicial Court. 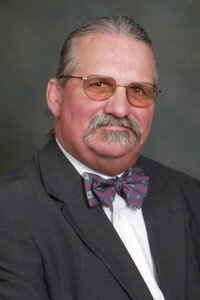 He has taught law at Western New England College Law School and Westfield State College; lectured and written extensively for continuing legal and judicial education programs; edited books on the law of deceptive and unfair practices and appellate practice and procedure; and co-authored books on civil jury instructions and summary judgment. Justice Greaney received his bachelor’s degree with honors in 1960 from the College of the Holy Cross, and his law degree in 1963 from New York University School of Law, where he was a Root-Tilden scholar and chairperson of the Annual Survey of American Law. He has received the Robert B. MacKay and Public Service Awards from N.Y.U. School of Law, the Haskell Cohn Distinguished Judicial Service Award from the Boston Bar Association, Western New England College’s Presidential Medallion, and the Massachusetts Judges Conference President’s Award for Judicial Excellence. The annual luncheon begins at noon on Dec. 5 at Anthony’s Pier Four in Boston. Prior to the luncheon at 11 a.m., a panel of lawyers and editors will discuss the legal and practical issues surrounding blogs and comments on newspaper-hosted Web sites. To register for the meeting, download the 2008 registration form. “When someone complains that a local official has violated the state’s Open Meeting Law, it’s up to the district attorney to investigate. Selectman in Sharon violated the state’s Open Meeting Law dozens of times by meeting in closed session to discuss a proposed senior living community, the Norfolk County District Attorney has concluded. Here is a report on the findings published by Wicked Local Sharon and here is a link to the DA’s Jan. 24 letter. “BOSTON – The state’s courts are benefiting from a revolutionary overhaul in management, with cases getting cleared more quickly and judges sticking to trial schedules, the chief justice of the state’s highest court said yesterday. The annual meeting of the Massachusetts Newspaper Publishers Association is scheduled for Nov. 29, 2007, at Anthony’s Pier Four in Boston. This year’s featured luncheon speaker is Margaret H. Marshall, chief justice of the Supreme Judicial Court, who will speak on courts and the news media and take questions from the audience. A morning panel will focus on legislative proposals to reform the Massachusetts open meeting law. Panelists will include Robert J. Ambrogi, MNPA executive director; Robert W. Ritchie, Esq., head of the Attorney General’s Municipal Division; and Thomas J. Urbelis, Esq., past president of the City Solicitors and Town Counsel Association. The day begins with an MNPA business meeting at 10 a.m. The open meeting panel is at 11 a.m. At noon is a cocktail reception, followed by the luncheon at 12:30. Tickets are $60. Reservations may be made using this form.